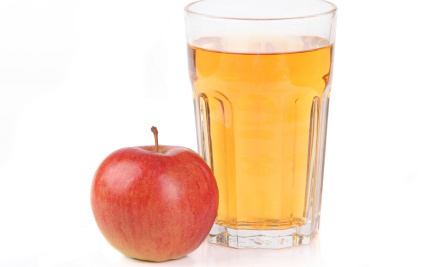 Care2 Healthy Living | Can You Swallow a Bit of Arsenic in Your Apple Juice? Can You Swallow a Bit of Arsenic in Your Apple Juice? About 20 years ago the U.S. apple growing industry was brought to its knees by a scare concerning Alar, a carcinogenic chemical sprayed on apples to make them more cosmetically appealing. Consumers were outraged, and health conscious Americans stopped buying apples and starting demanding more stringent health standards for their produce. Alar is now prohibited, and while conventional apples are still sprayed with questionable pesticides and such, one could purchase organic apples and feel relatively comforted by the inherent wholesomeness of the fruit. However, whether you consume conventional or organic apple products, you just might be getting more than you bargained for when it comes to arsenic levels. Since arsenic, a trace metalloid that is poisonous to living things, is present naturally in the environment, lots of foods, from rice to chicken, include trace levels of the substance. In the United States, the maximum allowed concentration in drinking water is 10 ppb and 5 ppb for bottled water, however there is no federal standard for food or drink (other than water). This gets us onto the subject of apple juice and how the Food and Drug Administration has now proposed a 10 parts-per-billion threshold for levels of inorganic arsenic in apple juice (the same standard for drinking water). It should be noted that the past use of arsenic-containing pesticides has also led to concentrations of arsenic in soils. That said, it is important to distinguish between organic arsenic, which occurs in nature and passes quickly through the body, and inorganic arsenic, the carcinogenic form. A few months back a similar concern was voiced around arsenic levels in rice, which are considerably high with white rice. It is clear that the levels of inorganic arsenic (meaning parts of the metalloid left over in the soil from pesticide use) in rice and rice products are high, and that much of the population, including young children, babies and pregnant women should limit their intake of rice and rice products such as cereals, rice cakes and rice beverages. And it seems the issue of arsenic contamination with apple juice is considerably less severe than is the case with rice, as the FDA has been monitoring arsenic levels in apple juice for two decades found that 100% of the samples fell below 10ppb for inorganic arsenic. Still, many are left uneasy with the idea of any arsenic (whether organic or inorganic) in their food supply. Do you feel that the FDA should mandate strict standards on arsenic in the food supply, or do you feel this is much ado about nothing? Thoughts? Arsenic is a naturally occuring substance in all soils. It is caused by thousands of years of organic matter decay, everything contains some minute trace of it. It is carried, suspended in water as well as ground water. The soil structure determines the amount. It has nothing to do with growing practices. Greed and negligence is poisoning our planet. Best to grow what you eat and boycott ALL these careless suppliers and organisations. Go back to basics. Think I'll go on hunger strike like the 30,000 California prisoners!! There's a bit of arsenic in everything we eat. One needs to be careful of rice - due to the fertilizers building up over time where it is grown - arsenic is heavily absorbed by the plant. Search for ways to clean - some recommend 'rinsing' the rice well before putting in the hot water to cook! What I don't really get is - Dr. Oz took a media bashing about his show reporting the arsenic in apple juice. Turns our Dr. Oz WAS RIGHT. So now all are on the band wagon about arsenic in apple juice when Dr. Oz was right all along. The bashers owe Dr. Oz an apology! I say we're doomed. We have contaminated our planet and it doesn't look like there's an end in sight ! With all those sick greedy morons running the big corporations, and thus the world, I'm really worried for future generations. I've just read a report on "Being Liberal" that the top 1% of America owns 50% of the country's wealth. And who are in this 1%?